The department of civil Engineering is one of the promising departments of the college which has excellent laboratories and dedicated faculty. Surveying lab with all latest surveying instruments including the total station is great strength of the department. Building material lab, Geo-informatics lab, Structural analysis lab, Building planning & Drawing lab etc. are well developed where student can interface with latest technologies of civil engineering. 1. 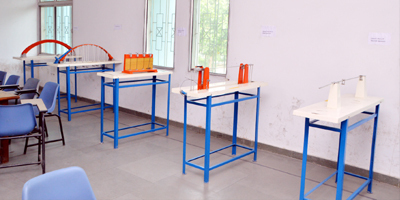 Department of Civil Engineering has almost all laboratory equipments as per university curriculum to improve the practical approach of students. 2. Department of Civil engineering arranges the various programs for the improvement of physical issues of the students as well as faculties. 3. Department of civil Engineering has Wi-Fi facilities for fast connectivity everywhere any time. 5. Department of civil Engineering has separate departmental Library enriched with various reference and textbook for the help of students and faculties.